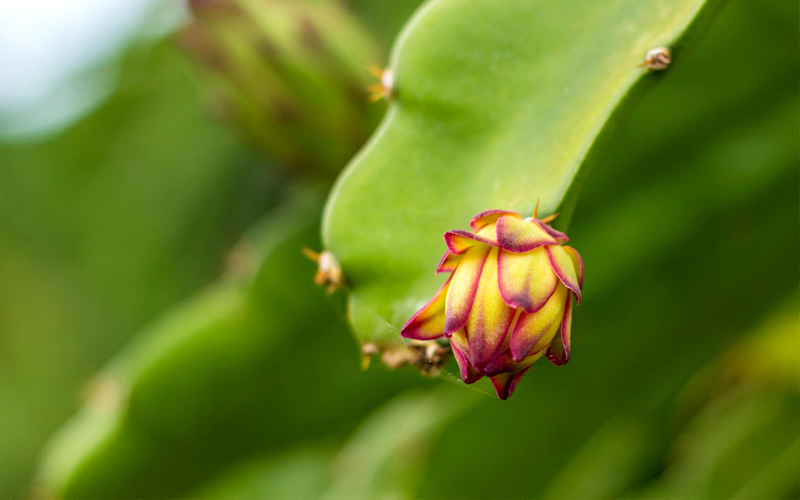 Originally native of Mexico, the dragon fruit plant is a type of cactus that also thrives in the climate and soil of Indonesia. The name dragon fruit ('buah naga' in Indonesian) comes from the large vivid-pink-and-green 'scales' that form its skin. Depending on the type, the mildly sweet flesh can be white or pink like its skin, and flecked throughout with tiny black seeds. Low in calories while high in vitamin C, dragon fruit is also loaded with other nutrients and minerals such as calcium and iron – that it's recognized by the United Nation's Food and Agricultural Organization as having "high nutritional value". 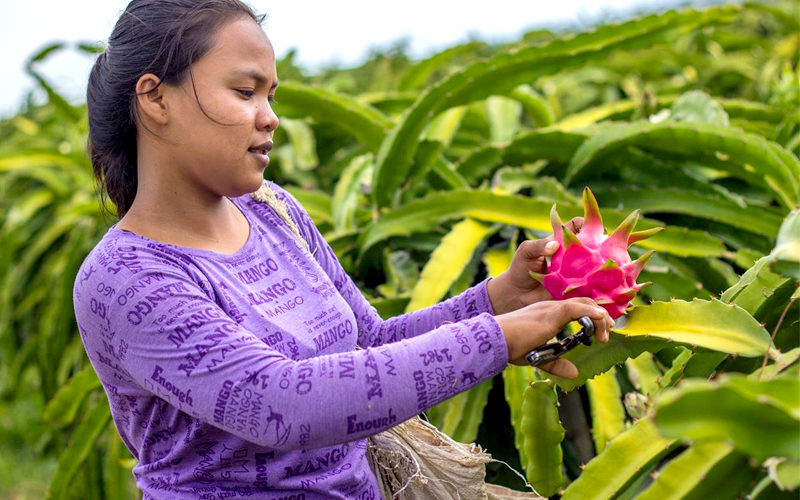 While dragon fruits are best enjoyed fresh, we are partnering with certified organic dragon fruit farmers in Bali to produce dehydrated organic dragon fruit chips. Not only is it another delicious way to enjoy this 'super fruit', but it's also a beneficial solution when there is an over-harvest of this highly perishable fruit. Lewi's Organics/PMA purchase the crop at harvest time at a normal price from the farmers, then we process the fruit into these unique chips. 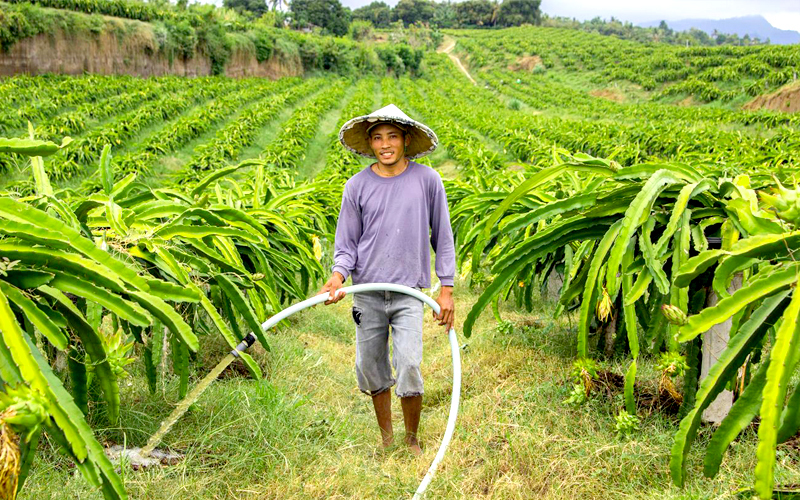 This way we help organic dragon fruit farmers to avoid over-supplying the market with surplus crop, which could lead to a price drop. 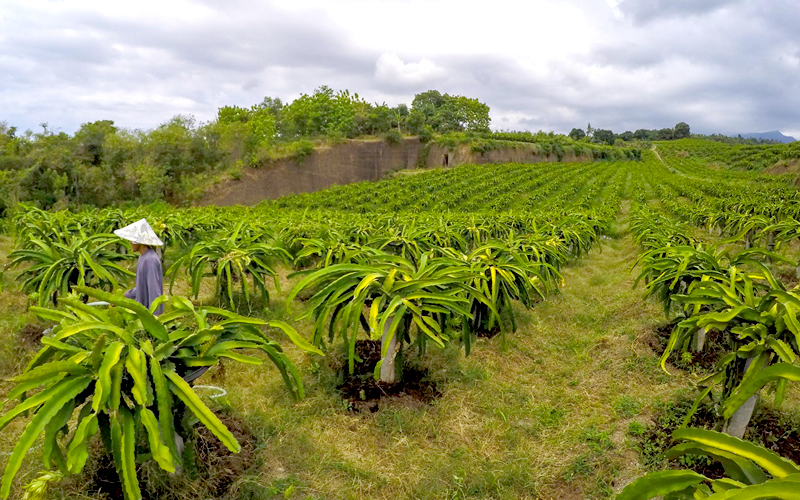 As with other Lewi's Organics snacks, we process fresh dragon fruit by the best method possible to protect its nutritional values. Thin slices of the fruit are put into 'dehydration oven' to gently extract the moisture at a low 45°C for 22-24 hours (by contrast, the typical 'drying oven' method practically 'cook' the product at 200°-300°C over a short time). This gentle dehydration process also concentrates the fruit's natural flavor while still preserving its deep magenta hue. 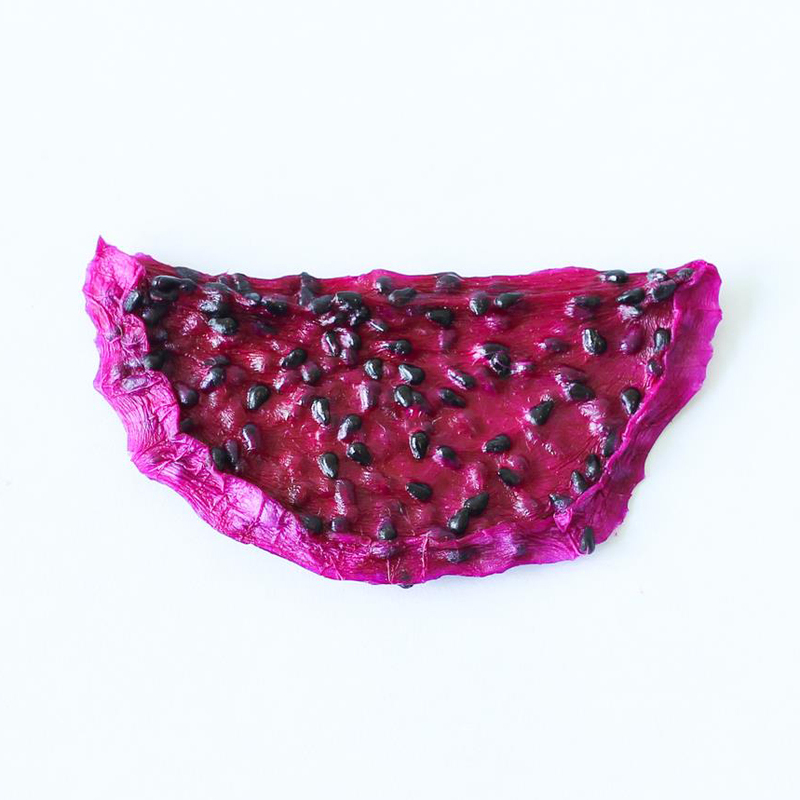 On their own, dragon fruit chips are delicious low-calorie snacks, and they can also be enjoyed as additions in muesli, breakfast cereal or salad, and as fillings for chocolate, cakes and energy bar. They can also appeal to those on vegan- or raw-food diet.